A new kid on the block has taken over the defunct Buttero at Tras Street. 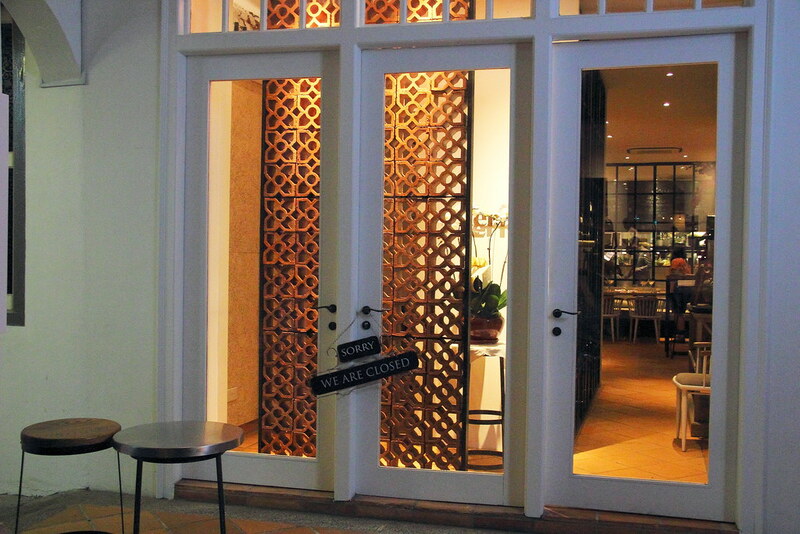 Offering Italian-Japanese cuisine is Terra by Seita, helmed by Chef-owner Seita Nakahara. Chef Seita is not new to the F&B scene, having worked in Enoteca L'Operetta as Executive Chef since 2010. Now he has ventured out on his own to set up the new restaurant to continue wining his customers' palate with his culinary skill, passion and philosophy for producing fine, authentic Italian cuisine. I am privileged to be able to try Chef Seita's interpretation of Italian-Japanese cuisine during the soft launch period. 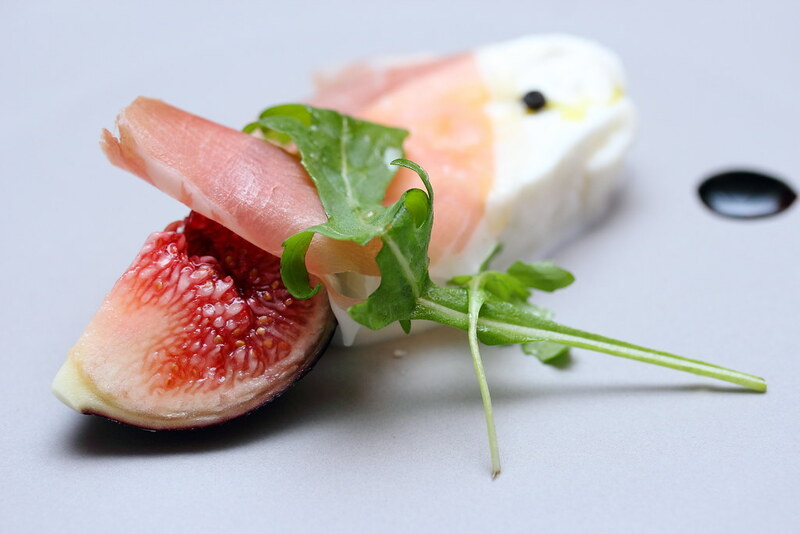 Our Degustation Menu ($98++) started with the amouse bouch of Iberico Ham with Burrata. A classic combination that was pleasing to the palate to whet up the appetite for the rest of the night. For starter, we have the Scallop from Salfutu. 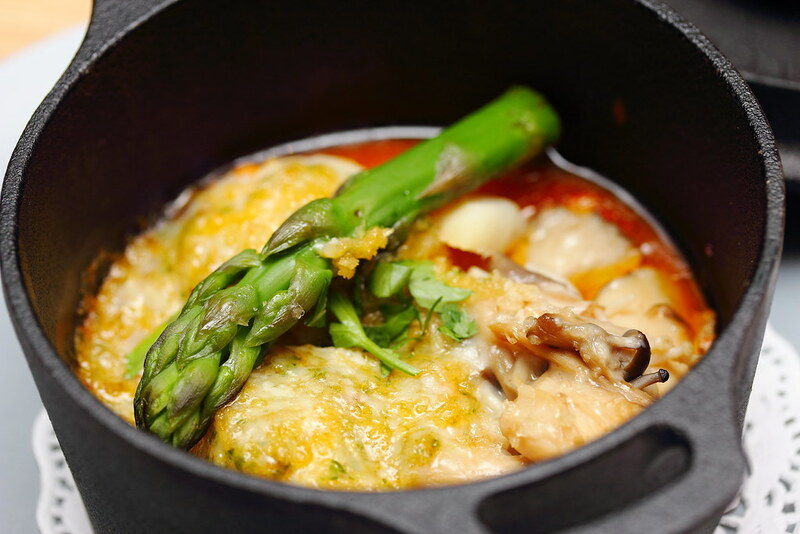 The huge and plump Hokkaido scallops are cooked in a pot of gratin, mushroom, herbal butter and capsicum puree. This somehow reminded me about the traditional Italian tomato based seafood stew, giving a glimpse of the Chef's interpretation of Italian-Japanese cuisine. Spaghetti with Sea Urchin and Bottarga is one of Chef Seita's signature dish and I am glad that I finally get to try it at Terra. 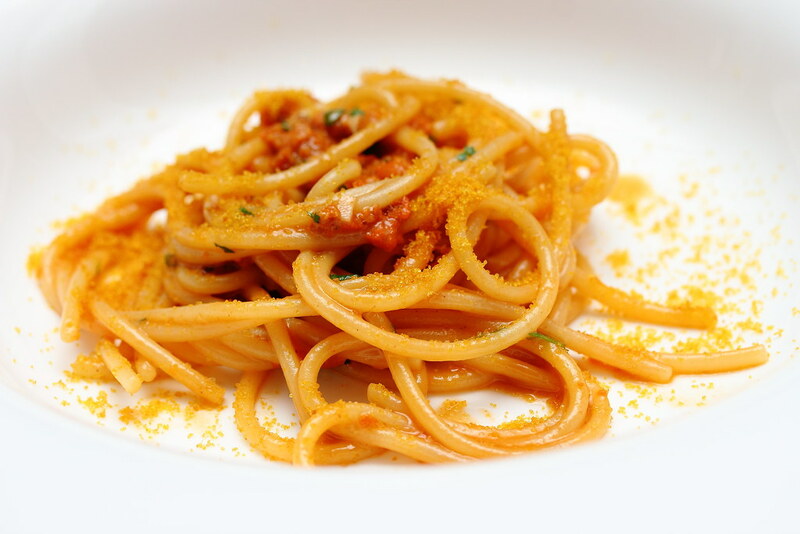 This is simply luxury on the plate with the al dente spaghetti tossed in the house-cured bottarga from fresh mullet roe and the unami sea urchin. I was expecting the richness to hit me like a tank but instead it turned out to be rather subtle. The highlight of the night has to be the Tajima Wagyu Beef. Chef has cooked the shoulder loin of the beef to a beautiful pink. 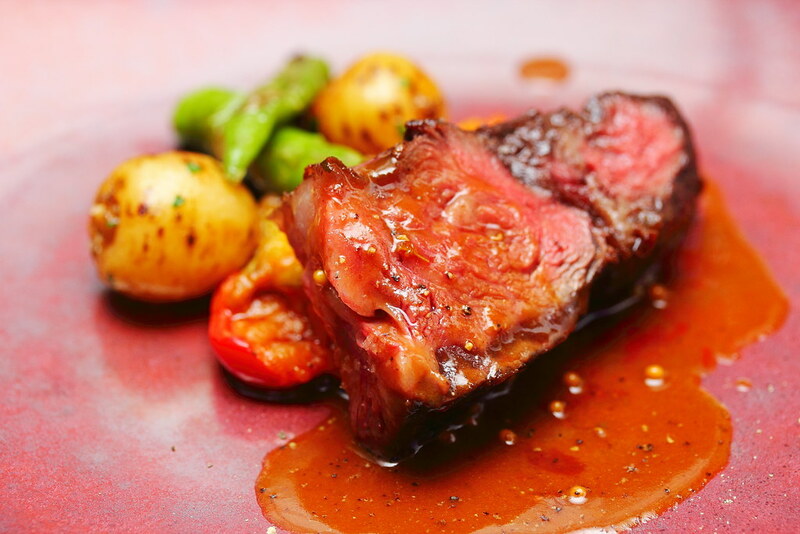 The wagyu beef which has lesser marbling was pure enjoyment with each bite of the beef bursting with the full flavour. 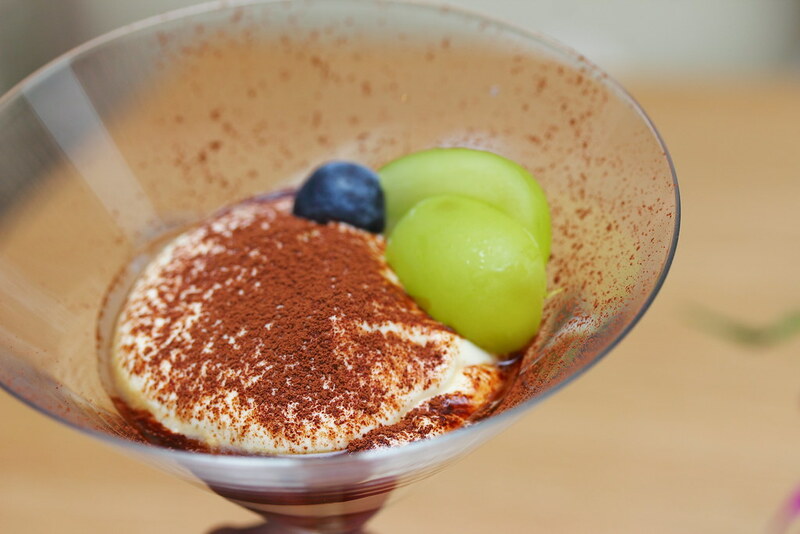 Ending the Degustation menu is the Tiramisu with Shine Muscat Grapes. The tiramisu was moist and light for a pleasing finishing. However the highlight for me is the Shine Muscat Grapes. The priced grape costs around $200 to $250 a bunch. I am so glad that I finally get to try these jade colour like grapes which is sweet and does not come with any tartness or sourness. I enjoyed Chef Seita's interpretation of Italian-Japanese cuisine. 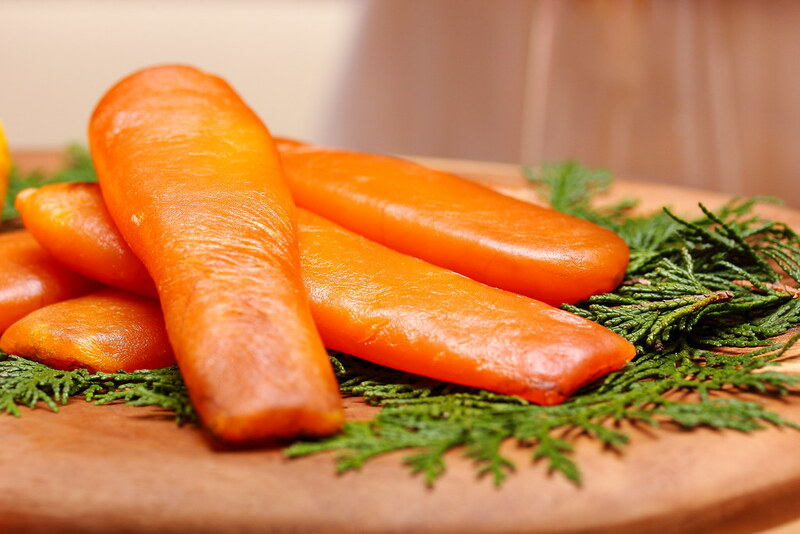 However it does not come cheap as premium ingredients are used. You are paying for the quality. Nevertheless, Terra also offers 3 Course Omakase Lunch ($42++) and 4 Course Omakase Lunch ($58++) if you have a tight budget.